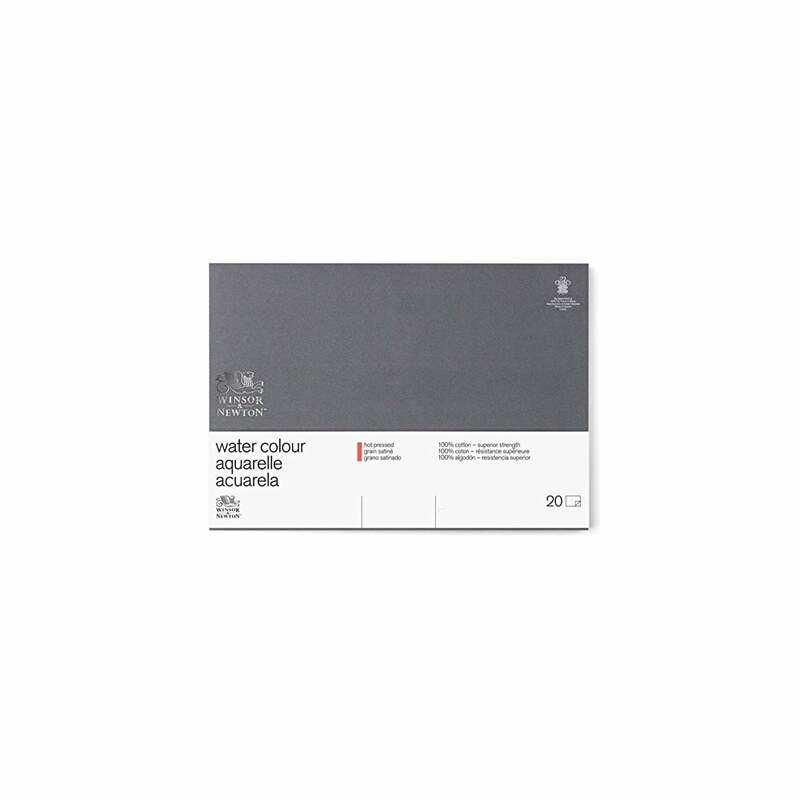 Formed in a cylinder mould, our water colour papers gives the appearance of being handmade This hot-pressed block has a sleek finish and is smooth to the touch. With almost no tooth, it’s often used for consistent washes and fine detail. All of our water colour papers are designed to withstand saturation but the gummed block keeps the paper stretched as they dry. The finished piece can then be removed, free from any cockling.